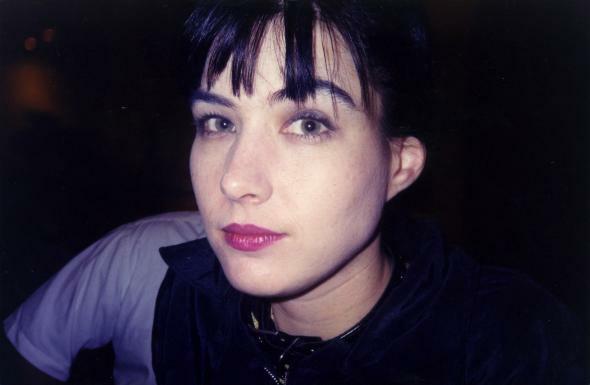 Kathleen Hanna has forged a radical musical legacy by spreading feminism through punk rock, but when she started, she had to fight for the very basics. Like safety. When her band Bikini Kill began touring in the early ’90s, spreading the movement they and their peers called riot grrrl, their fans would get literally pushed away from the stage by the predominantly male crowds. So she fought back. In this exclusive clip that we asked permission to share from The Punk Singer, an inspiring new documentary about Hanna, the movie explains how she and her peers flipped the traditional punk show dynamic on its head. Of course, this is only one of the many steps that Hanna and her bandmates and allies took to further their cause, and those who are intrigued—whether they’re familiar with her work or not—should seek out the documentary in full. (It comes to theaters and iTunes today. Here’s the trailer.) Whether printing zines with Bikini Kill, or touring with Le Tigre, this was just one example of the many ways Hanna showed that someone who looked and sounded like a cheerleader could be a total badass, too.